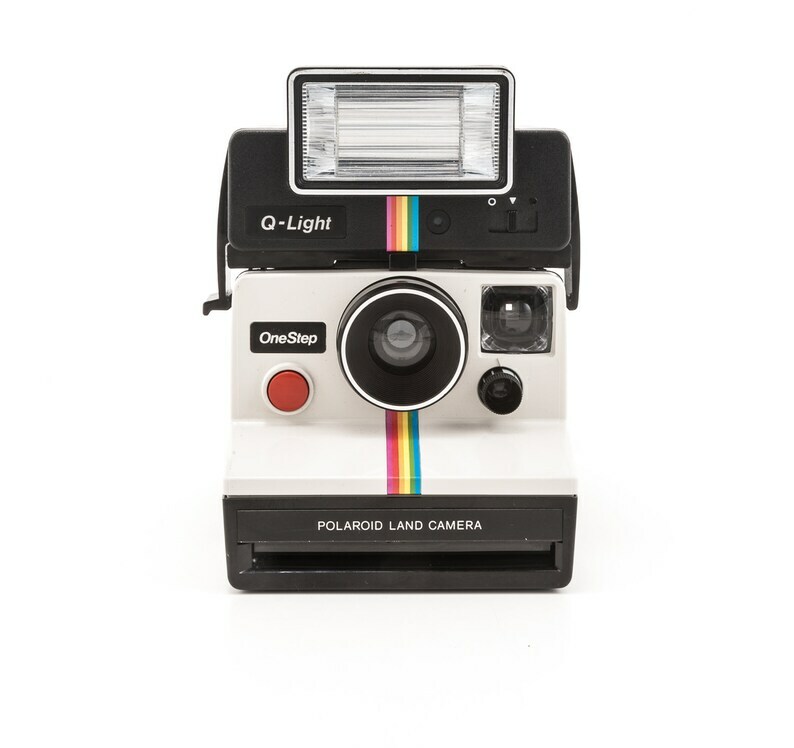 This is the famous Polaroid OneStep Classic white with rainbow stripe camera and a “fixed focus” plastic lens. This camera was know as the Polaroid 1000 camera in the UK. This Polaroid OneStep is in great working condition and in good cosmetic condition, showing surface scratches/scuffs on the sides and bottom. Pretty normal from use. The lens looks good. The output unit runs well and the pressure rollers spin freely. This camera has two silver rollers so you will not have the jamming problem caused by the cameras with the silver and gold rollers. The original neck strap is well attached, and everything opens and closes easily. Please see photos for more information on the camera's condition. These cameras take a lot of light for proper exposures. If you plan on shooting indoors or in shade you will need a flash. When shooting without a flash always shoot outdoors in bright sunlight. IMPORTANT INFORMATION ABOUT THE OneStep White Rainbow CAMERA.